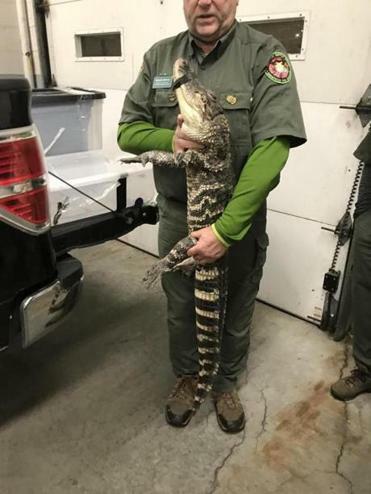 The alligator that was seized from the man. 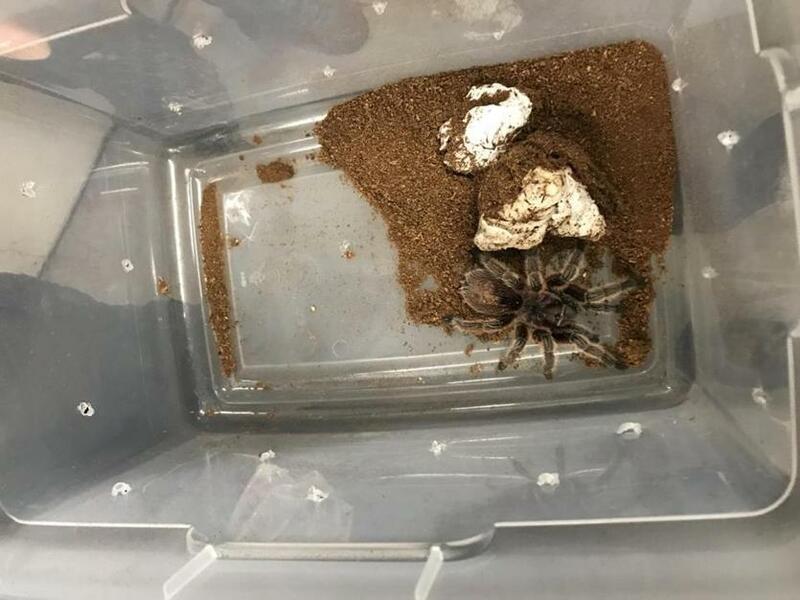 Environmental Police confiscated four exotic animals on Saturday from a Rhode Island man who was allegedly charging people to take photos with them at an event in Framingham, officials said. Police arrived at the Super Megafest Comic-Con event at the Sheraton Framingham Hotel around 4:22 p.m. to find a man with a five-foot-long alligator, a five-foot-long Burmese python, and two rose hair tarantulas, said Katie Gronendyke, spokeswoman for the state’s Executive Office of Energy and Environmental Affairs. 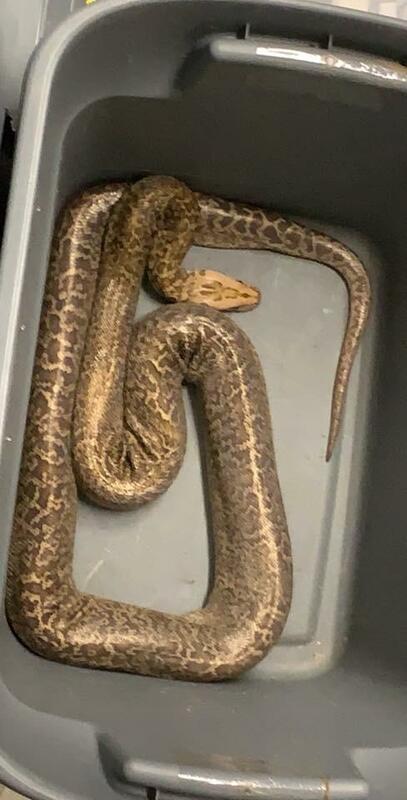 “The animals were found to be in poor condition and were seized and turned over to a trained herpetologist certified in the proper care of reptiles,” Gronendyke said in an e-mail. The man, a 46-year-old Warwick resident, was arrested by Framingham police on an unrelated warrant. He will also be criminally summonsed for illegally importing and possessing an alligator. Police will continue to investigate the incident, Gronendyke said.